The Kloster Andechs Bräustüberl is part of Andechs Abbey, the world famous monastery with its landmark 1712 Baroque church on top of the Sacred Mountain of Andechs about 40km south west of central Munich. It is where the Benedictine monks once lived, who have a history of brewing and perfecting their beer recipes over centuries. Historical records indicate that beer was brewed at the location of the Andechs Monastery already in 1455. The current and extended brewery was built in 1972 and can be seen from the terrace. Seven different types of beer are produced here: Hell, Spezial Hell, Bergbock Hell, Dunkel, Doppelbock Dunkel, Weißbier, Weißbier Dunkel. Guided tours of the brewery are available on Tuesdays and Wednesdays between June and October. The Bräustüberl is an all self-serviced restaurant with a food and drinks canteen inside the building offering typical Bavarian meals such as Schweinshaxn (knuckle of pork), Hendl (roasted chicken). The Bräustüberl terrace has about 1,100 seats, some of which have great views of the surrounding landscape. On clear days the Bavarian Alps are visible in the south. A smaller terrace facing to the east has about 60 seats. 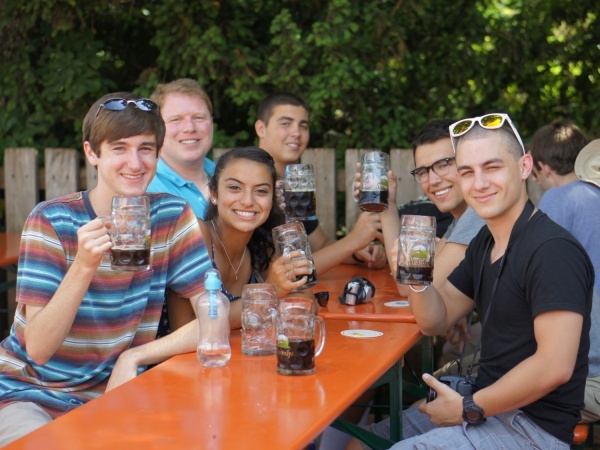 Although the Bräustüberl is not a typical beer garden with trees and gravel ground, it is an original brewery and Bierkeller location, which like in any traditional Bavarian beer garden permits guests to bring their own food. The same tradition applies to Kloster Andechs Biergarten but not Klostergasthof Andechs Wirtsgarten. 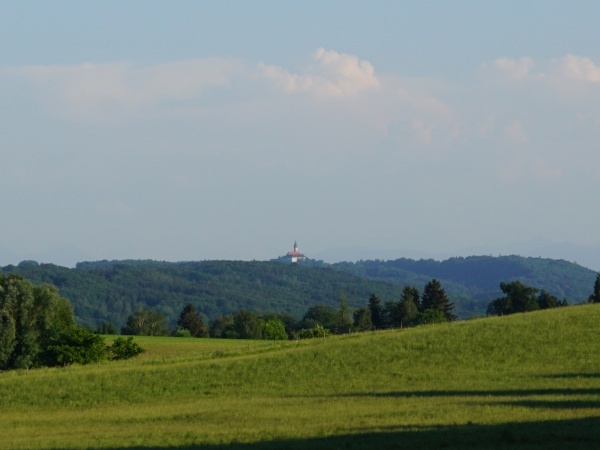 All three venues are located on the Andechs hilltop within close walking distance of each other. The beer types served at the Bräustüberl in Maßkrugs include Andechser Spezial Hell at €6.60 (March 2017), Andechser Spezial Dunkel and Andechser Weißbier Hell. Kloster Andechs Bräustüberl is open between 10am and 9pm everyday throughout the year, except on 24th and 25th December, 1st January and Good Friday.